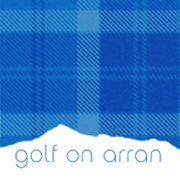 The golfing experience on Arran is suitable for every kind of golfer. There are 7 courses to get round, varying in length and difficulty. A trip to Arran is the perfect opportunity to expand your golfing horizons by getting round all these stunning courses. The island is relatively small so they’re all within close proximity to each other. 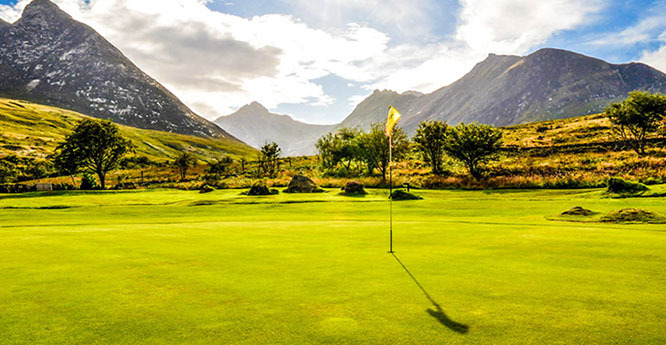 This offer has been conveniently packaged into an ‘Arran Golf Pass’ which entitles the bearer to a round of golf on each of these seven courses for the remarkable price of £110 – a much cheaper alternative to paying all seven clubs. The pass grants one round of golf on each course. However, if any players wish to play another round on a particular course then they should contact the starters box and this can be arranged with the additional green fee being charged. If this offer appeals to you then you can purchase a pass here on the website very easily by completing your details and making the payment via PayPal. We will then send your pass out using first class Royal Mail recorded delivery. Each pass is valid for 12 months and the convenient thing about the pass is that you can take multiple trips to Arran over the 12 months, taking the pass with you each time and ticking off each course on the list each time you go. There is no rule that says you need to play all the courses in one trip. The only club with restricted access is Lochranza which is seasonal and is only open from April to the end of October. The attraction of this offer for many people is the flexibility of being able to complete the pass over a year. This means it can be used for a group weekend away, followed by a couples break for example – playing 3 or 4 of the courses each time round. There are plenty of pubs surrounding the courses, you will never be short of something to do. And for a couples break, the golf pass is also really worthwhile. A few days spent on Arran, taking long walks along Whiting Bay beach and visiting some of Arran’s other attractions such as Brodick Castle, Arran Aromatics and the distillery is a great accompaniment to golfing on Arran and is a glorious way to spend a weekend away. Don’t worry about this being too much of a mission as three of the courses are only nine holes! All the courses are challenging, some more than others, and offer beautiful sea views across the Firth of Clyde and onto Argyle. There are two Caledonian MacBrayne ferries which travel to Arran – One from Ardrossan in Ayrshire and another from Claonaig in Kintyre, both of which allow cars to be taken to the island. Travel time is 55 minutes and 30 minutes respectively. Travelling on the island is just as stress-free. As mentioned, both ferries allow cars as long as you book ahead so this is a popular choice for many tourists. Without the use of a car on the island, you can get around using public transport. There are frequent buses every day from Brodick pier to Lochranza and from Brodick to Lamlash and Whiting Bay. Hire cars and motorcycles are also available at the service station near the Brodick ferry pier as well as hire bicycles from several places across the island. So for the best value and most flexible golf pass in Scotland, aptly available on “Scotland in miniature” just make one click to open up the doorway to this golfing experience which quite literally keeps giving again and again!